Home » Android , Infinix , Mobile , Reviews » Infinix Hot X507 - Specs, Price & Why You Should Get This New Smartphone! Infinix Hot X507 - Specs, Price & Why You Should Get This New Smartphone! Today, we'll be introducing the newest Smartphone device in the market, Infinix Hot X507. The new Infinix Hot X507 is the latest innovative addition to the mobile phone brand following the success of Infinix Zero, it's one of the Best things you can get yourself or for someone this great Season. The Infinix Hot comes with better battery Life, faster processing Speed and of course, it runs on the leading Android OS, KitKat. Below is a Summarized Specification about this device, so we can know the Major features that makes the INFINIX HOT X507 outstanding amongst others. 3G For Super fast browsing. Why You Should Get The New INFINIX HOT X507 Smartphone! The Camera - superb and crystal Clear for snapping photos and capturing the best moments anytime, with another 2MP Front (secondary) Camera for those who like to take Selfie and enjoy Video Calls! With the Infinix Hot, You can snap photos and see them as they are. The Display - with a 5 Inches screen, fully protected with Corning Gorilla Glass, with a very crisp & colourful display, clear and large enough for you see every detail of everything on the device, especially after you Zoom a photo. Android Games & Apps - The Smartphone runs Android 4.4.2, KitKat which supports not only all Android games, but all Android apps available on the Google PlayStore, you are unlimited with Apps you install. Music and Video - when it comes to Playing Music on the Infinix HOT, whether directly from the phone's speaker or via headphones, quality sound is assured, the Music player comes with Equalizer for adjusting sound to your taste. Watching quality videos that have high quality is another certain feature of the Infinix Hot, like earlier I said, when watching videos with this device you'll see things just they we way they exactly are. Emails + Social Media - Instantly send and receive mails on the go. Chat, Share photos, Videos and engage in Social Media, with just few clicks, Instagram, Facebook, Twitter or whatever way you want, Infinix Hot connects you instantly. The Color (Design) - This Smartphone had been designed to suite your taste of color, no matter who you are, or who you are getting it for, there are varieties of nice Colors to choose from. 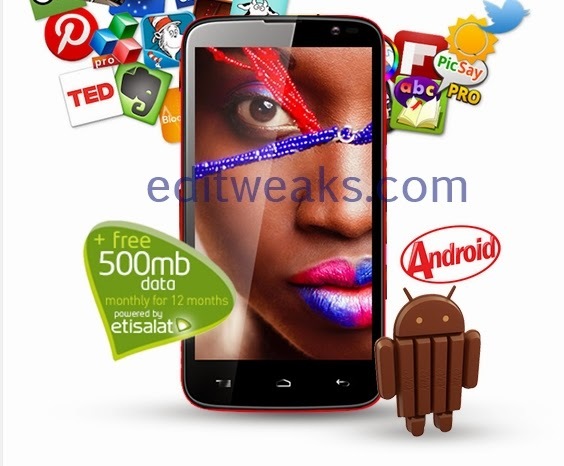 The Infinix Hot X507 Comes in 5 Great colors. The "Affordable" Price - or should I say VERY affordable price, we know there are other smartphones that are not upto the Infinix Hot yet are more expensive, the price of the Infinix Hot is way affordable despite the Hotness & amazing features. We'd like to hear from you, what did you experience after you got this Smartphone.